Rolo chain, 2mm, stainless steel, 304l grade, 5 metres spool. (SKU# CC/ROLO2-5/SS). Sold per pack of 1 spool(s). 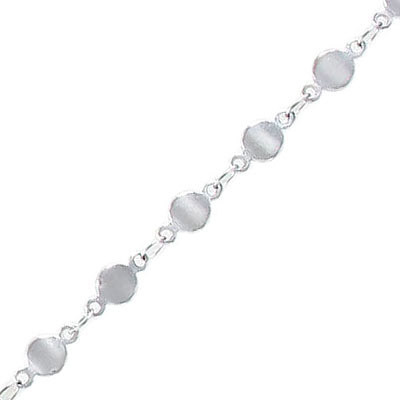 Chain, 4.50mm flat round links, soldered, stainless steel, 5 metres, grade 304. (SKU# CC/1434/SS). Sold per pack of 1 spool(s). 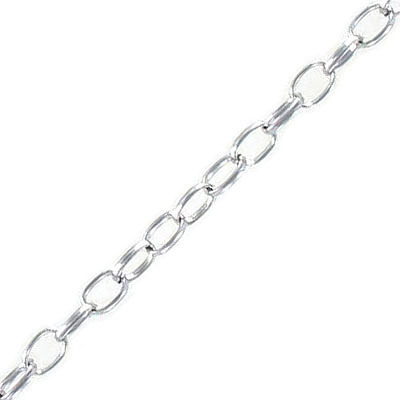 Chain, 6x4mm oval link, 0.60mm thickness, stainless steel, grade 304, 10 metres. (SKU# CC/1395/SS). Sold per pack of 1 spool(s). Chain, 0.50mm wire, 2.3x1.9mm link, soldered, stainless steel, grade 304, 100 metres. (SKU# CC/250S100/SS). Sold per pack of 1 spool(s). 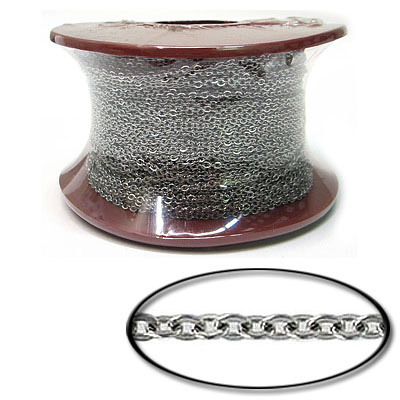 Chain, 0.45mm wire, 2.4x2.8mm link, soldered, stainless steel, grade 304, 100 metres. (SKU# CC/245SF100/SS). Sold per pack of 1 spool(s). 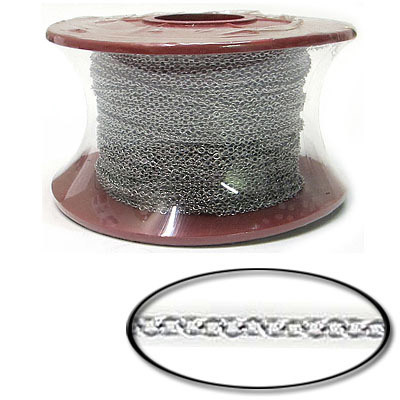 Curb chain, soldered, 3.2mm link, 0.80mm wire, stainless steel, 304 grade, 20 metres. (SKU# CC/EX00120/SS). Sold per pack of 1 spool(s). 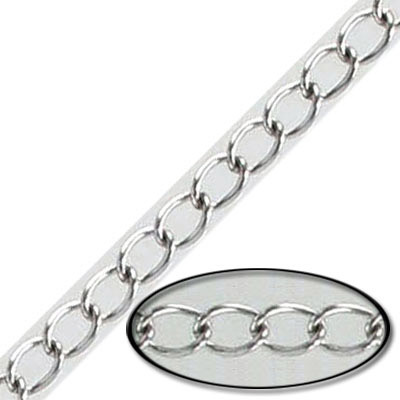 Dot-dash chain, dot 1.5mm diameter, dash 3mm length, stainless steel, 10 metres. (SKU# CC/1388/SS). Sold per pack of 1 spool(s). Dot-dash chain, faceted dot 1.5mm diameter, dash 6mm length, brass core, gold color, 10 metres. (SKU# CC/1368/GL). Sold per pack of 1 spool(s). 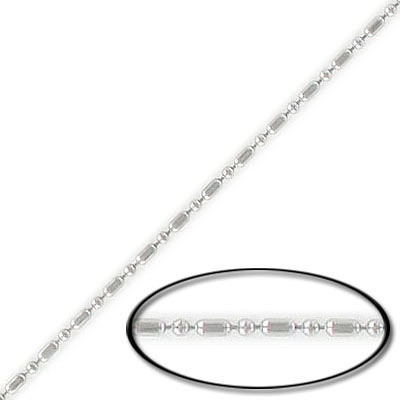 Dot-dash chain, faceted dot 1.5mm diameter, dash 6mm length, brass core, imitation rhodium, 10 metres. (SKU# CC/1368/WH). Sold per pack of 1 spool(s). Satellite chain, soldered, 1.55x1.70mm link, 0.55mm wire,with 2.20mm beads, stainless steel, 10 metres. (SKU# CC/1378/SS). Sold per pack of 1 spool(s). 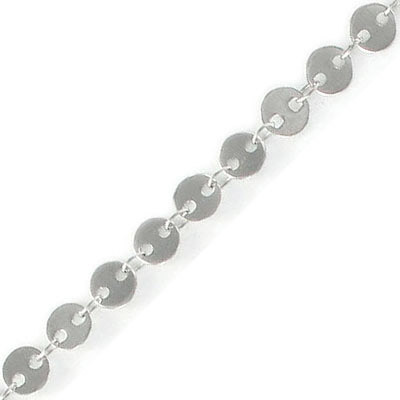 Disk chain, 6mm disk diameter, stainless steel, 5 metres. (SKU# CC/8322/SS). Sold per pack of 1 spool(s). 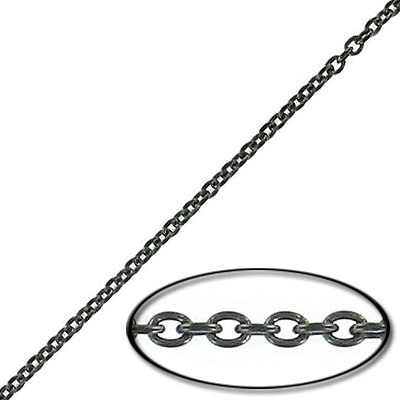 Flat curb chain, 2.25x2.7mm link, 0.6mm wire, stainless steel, 304 grade, 100 metres. (SKU# CC/160F100/SS). Sold per pack of 1 spool(s). Curb chain, stainless steel, 3.2mm wide, 0.80mm wire thickness, rose gold vacuum plated, 5 metres. (SKU# CC/EX001/RSS). Sold per pack of 1 spool(s). 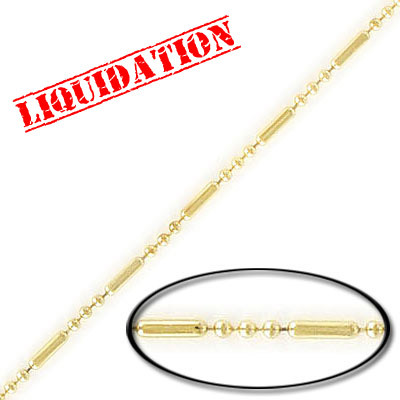 Satellite chain, 6-strand, 1.30mm width 0.75mm thick per strand, with 5mm beads, gold color, 5 metres. (SKU# CC/1365/GL). Sold per pack of 1 spool(s). Satellite chain, 6-strand, 1.30mm width 0.75mm thick per strand, with 5mm beads, rhodium imitation, 5 metres. (SKU# CC/1365/WH). Sold per pack of 1 spool(s). 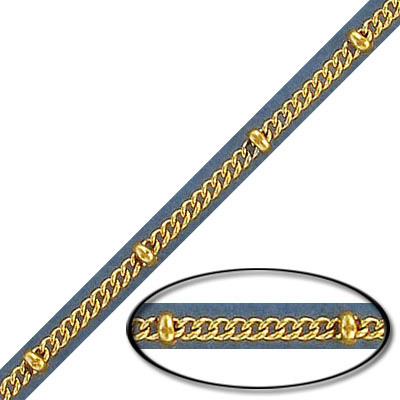 Satellite curb chain, 2.2mm, with 3mm balls, stainless steel, gold vacuum plate, 5 meters. (SKU# CC/1210/GSS). Sold per pack of 1 spool(s). 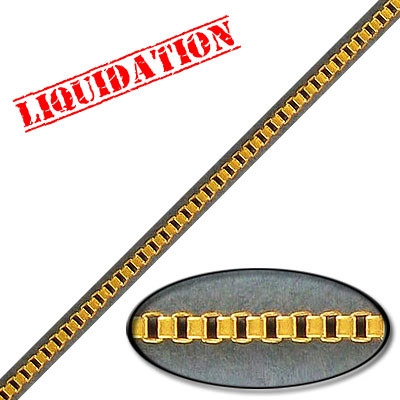 Box chain, steel core, 2mm, gold color, nickel free, 10 meters. (SKU# CC/1201/GL). Sold per pack of 1 spool(s). Flat curb link chain, soldered, 4.5x2.5mm link, 0.50mm thick, stainless steel, rose gold vacuum plated, 5 meters. (SKU# CC/1249/RSS). Sold per pack of 1 spool(s). Flat curb link chain, soldered, 4.5x2.5mm link, 0.50mm thick, stainless steel, gold vacuum plated, 5 meters. (SKU# CC/1249/GSS). Sold per pack of 1 spool(s). Chevron chain, 2.55x6.25mm link, 0.60mm thickness, brass core, gold color, 5 meters. (SKU# CC/1354/GL). Sold per pack of 1 spool(s). Chevron chain, 2.55x6.25mm link, 0.60mm thickness, brass core, imitation rhodium color, 5 meters. (SKU# CC/1354/WH). Sold per pack of 1 spool(s). 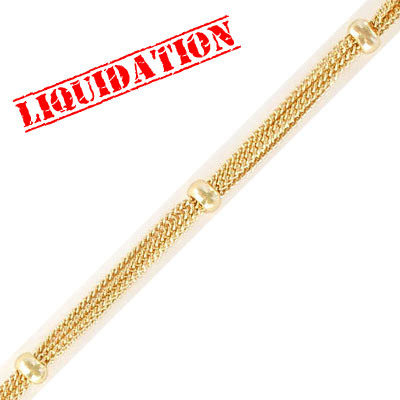 Link chain, 5mm link, soldered, stainless steel, gold vacuum plated, 5 meters. (SKU# CC/1250/GSS). Sold per pack of 1 spool(s). Link chain, 5mm link, soldered, stainless steel, rose gold vacuum plated, 5 meters. (SKU# CC/1250/RSS). Sold per pack of 1 spool(s). Chain, length 2.3mm, width 1.9mm, 0.5mm thickness, soldered, stainless steel, 304, black finish, 5meters. (SKU# CC/250S/BSS). Sold per pack of 1 spool(s). 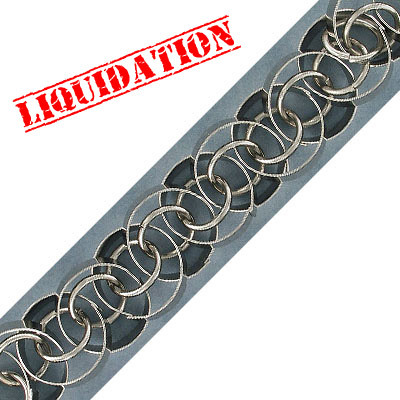 Link chain, 20mm, thick rhodium imitation plating (40-80mils), 1 meter. (SKU# CC/1343/TIR). Sold individually.